Download Simple Pricing Table UI Design Free PSD. A simple way to show your pricing table on your website for your services and products. 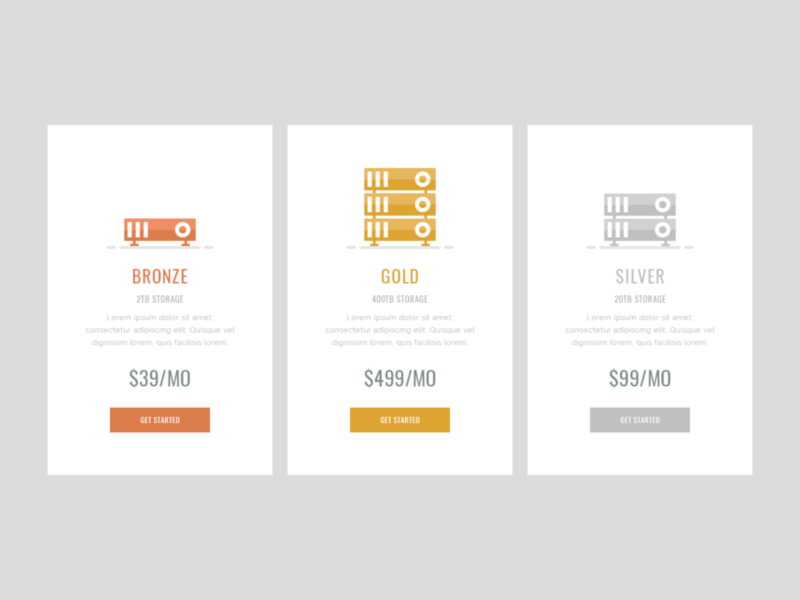 This Simple Pricing Table UI Design Free PSD has a clean designs with a well-suited color scheme. Add more features to pricing table and make users buy your service. You can easily modify and use this Simple Pricing Table Free PSD as it is or as inspiration material in your future personal or commercial ui or web design projects. Hope you like it. Enjoy!